It can’t be denied that curling irons can sometimes be an absolute pain to use. But did you know that you don’t need a curling iron, or any other heat styling tool for that matter, to curl your hair? 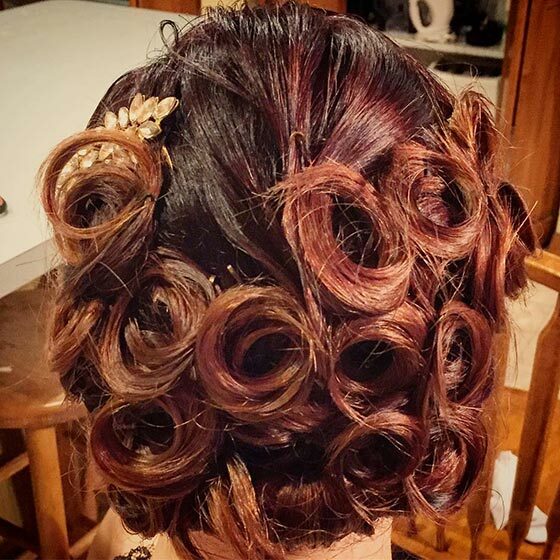 If sweat, arm aches, and hair damage are some struggles you resonate with, you will be happy to know that there are several other ways to add some curls to your hair, most of which will give you results that look way more natural. I have put together a list of 9 such methods to give you curls with varying styles, tightness, and volume. Women have been curling their hair without heat for centuries! Most of these methods incorporate going to bed with hair that is slightly damp and waking up with perfectly curled hair. Some work to emphasize the natural wave in your hair. Go through the list to find the best method for the look and style that you’re going for. Scrunching will enhance the natural curl in your hair, making it wavy, or curly depending on your natural hair texture. It’s one of the quickest and easiest methods to get some messy curls. Wash your hair with a volumizing shampoo and then condition. Apply the conditioner only to the ends of your hair, so it does not weigh your hair down. Detangle while you do this. Rinse your hair thoroughly to get rid of any residue. Squeeze the water out with a towel. Do not rub your hair with the towel as it will cause breakage and frizz. Instead, squeeze gently to get excess water out. While your hair is still damp, pump out a golf-ball sized amount of mousse, or a pea-sized amount of gel. Bend forward and start scrunching your hair with the product. Scrunch your hair with the same motion used to crumple a piece of paper. Do not get any product near your roots, as this might make your hair appear greasy. Keep scrunching upward and let your hair dry. This classic style will never go out of fashion, and it is also super easy way to curl hair without heat. All you’d have to do is pin your hair before bed to wake up with gorgeous curls in the morning. Wash your hair with a good volumizing shampoo and then condition. 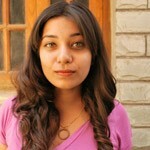 It would be a good idea to detangle your hair with a wide-tooth comb while you condition it. Towel dry your hair but ensure that you are gently squeezing excess water out of your hair rather than rubbing your hair with the towel. Apply some hair gel, or any other product that gives you hold. Section out the crown of your hair. Secure it in a bun. You will be working on this section last. Take a 1-inch section of your hair from the side wrap the end around your index finger to create a loop. Hold it in place with your thumb and index finger. Start rolling the section upwards until it is snug against your roots. Ensure that you are rolling the hair up, away from your face. Hold the rolled up section flat against your scalp and secure it with a hairpin. If the sections are too thick, your hair pins will leave indentations in your hair. Repeat this process with the rest of your hair. Once you are done with the bottom, work on the crown until all of your hair is secured with pins. Wrap your hair with a silk scarf to keep the pins in place and go to sleep. The scarf will also help absorb the moisture from your hair. Wake up in the morning and undo your curls. Only remove the pins when your hair is completely dry. Do not use a blow dryer as it will frizz up your hair and undo curls. Once you’ve removed all the pins, gently finger-comb your hair to remove the piecey appearance. Use some hairspray for extra hold. 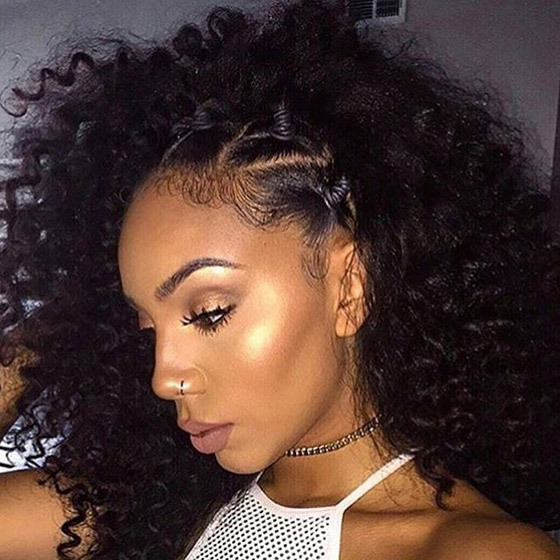 If flawless beach waves are what you are looking for, braiding is the way to go. This is one of the easiest ways to curl hair. Wash your hair and wait until it is 70% dry. Part your hair and braid it on either side. If you only want waves towards the ends of your hair, create two regular braids on either side of your head. For waves that begin close to the roots of your hair, create two French braids or boxer braids on either side of your head. Ensure that the braids are tight so that your hair doesn’t frizz out when you open it. 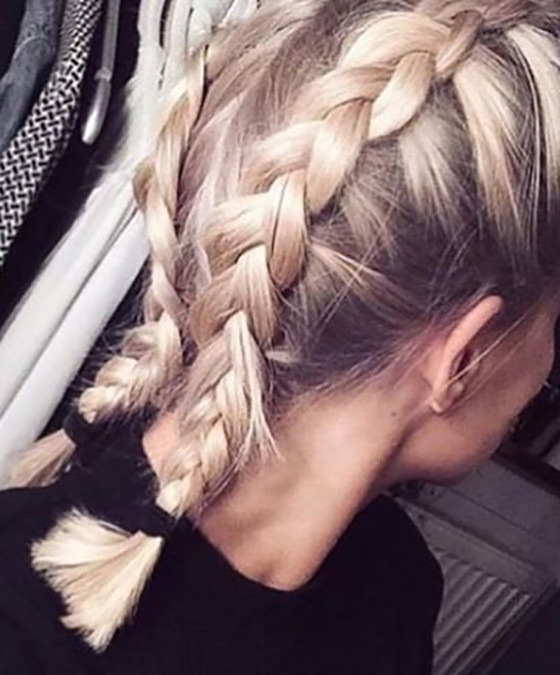 Keep the braids until your hair is completely dry. You can go to bed with the braids still in your hair and then undo them in the morning. Finger comb your hair and then finish with some hairspray or product for hold. Velcro rollers are a great curling alternative, and they also save your hair from heat damage while giving your hair body and volume. For tight curls choose smaller sizes, and for big voluminous hair with waves, go for larger ones. Wash your hair with a volumizing shampoo or simply dampen it using a spray bottle. Squeeze out the excess moisture from your hair using a towel. If you have thick hair, section it and roll your hair upwards. You can skip sectioning if your hair is fine. Ensure that you are rolling upwards until the rollers sit snugly against your scalp. You will not need to use pins to secure the rollers. If the roller isn’t sticking, it is possible that the section you’ve taken is too thick. Wait for a couple of hours with the rollers in your hair until it is completely dry. You can use this time to do your makeup or finish up chores around the house. Undo the curls and finger comb your hair. Finish with hairspray for hold. This method is my personal favorite because of the tight, springy curls it gives you. The Bantu method works well for all hair types and helps calm your frizz while giving you some perfectly defined curls. Once your hair is about 80% dry, gather a 1-2 inch section of your hair (the smaller the section, the tighter your curls will be) and start twisting until it resembles a rope. Twist this section tightly around itself to form a small twisted bun. Repeat this until all of your hair is up in Bantu knots. 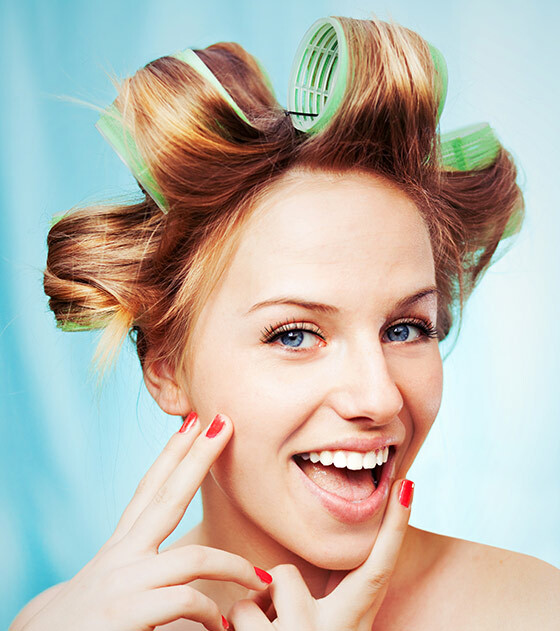 In the morning, take off the shower cap and let your hair dry. Undo each coil, one-by-one, and finger comb your hair. Finish with hairspray for hold. 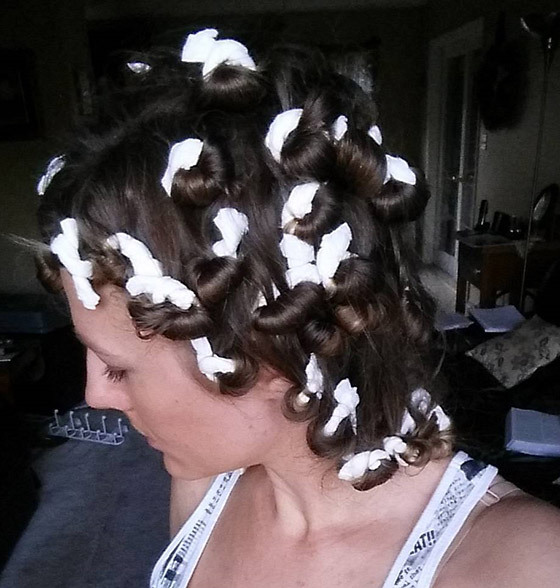 Using tissues to curl your hair is a great alternative to using rollers. This method gives you tight, springy curls that look natural. Wash your hair and then squeeze out the excess water using a towel. Optionally, you can dampen your hair using a spray bottle. Take a paper towel and fold it until it is about an inch wide and about 4-5 inches long. Take a 1-2 inch section of your hair and wrap the ends of your hair around the middle of the paper towel. Start rolling upwards until you reach your scalp. Secure the paper towel by tying it around the rolled up hair. Repeat this with the rest of your hair in sections. Sleep with the paper towels in your hair. Undo the paper towels and finger comb your hair. Finish with some hairspray for hold. Using a sock is the perfect way to attain gentle waves in your long hair. As a bonus, your hair will look great while it is being curled. Dampen your hair by washing it or using a spray bottle. Squeeze out any excess water and wait until your hair is about 80% dry. Pull your hair into a high ponytail and secure with a hair tie. Cut the toes off a sock and roll it into a doughnut shape. Pull the ends of your hair through the hole in the sock. Wrap the ends of your hair around the sock and start rolling it up until it sits snugly against your scalp. 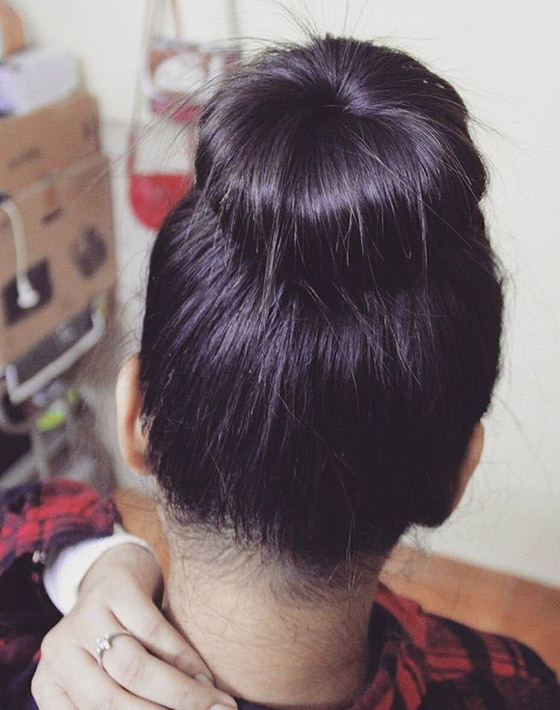 Undo the bun once your hair is completely dry. You can sleep with the bun in your hair or wait 5-6 hours until your hair dries. Undo the sock bun and the hair tie. Use your finger to comb through your hair and finish with hairspray. This is the perfect method for beachy waves and large voluminous curls. While your hair is slightly damp, wrap a headband around your head. 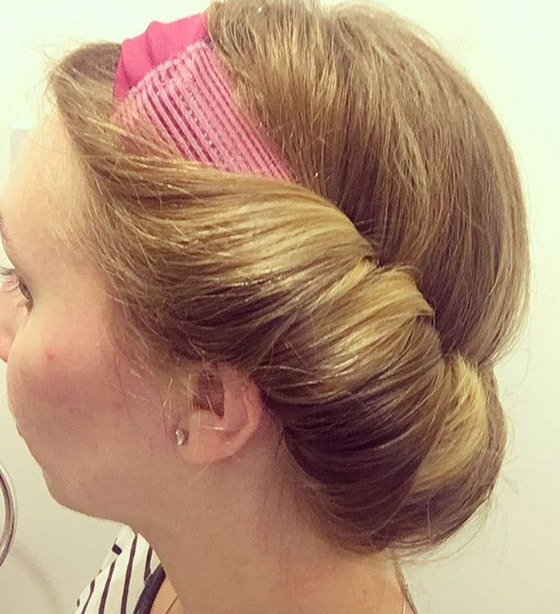 Section your hair into two halves and start wrapping it around the headband. Once you get to the end of your hair, pin it to secure in place. Repeat this with the second section and pin it in place. You can use a blow dryer on the cool setting to speed up the drying process, or you can go to bed with your hair wrapped around the headband. Once your hair is completely dry, unpin it and let it down. Comb your hair with your fingers and finish by scrunching your hair with a sea-salt spray to hold the volume. This is one of the easiest ways to get some quick beach curls. Dampen your hair by washing or using a spray bottle. It would be a good idea to use a volumizing shampoo. Part your hair down the middle to create two sections. Gather the first section into a high pigtail and start twisting until it resembles a rope. Keep twisting the hair around itself until you reach the end. Repeat this process with the other section and then go to bed. Optionally, you can wear this hairstyle for a few hours until your hair is completely dry. Once your hair is dry, undo the twisted buns and run your fingers through your hair to comb it. Finish by spritzing on some sea-salt spray and scrunch for hold and volume. You don’t have to subject your hair to heat damage anymore! Most of these methods give you results that last up to 2-3 days. Try out these easy methods to spruce your hair up with some curls. 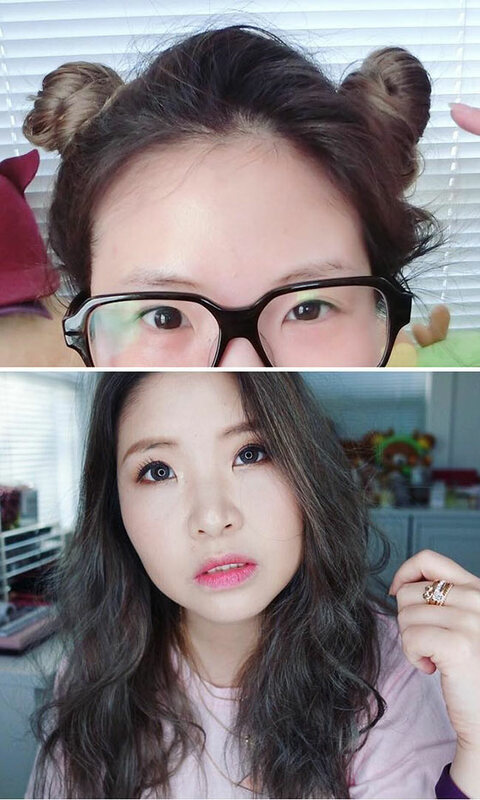 Do you know any other ways on how to curl your hair without heat? Let us know in the comments section below!